15 Creative 12 Volts Gadgets and Cool 12 Volts Gadget Designs. 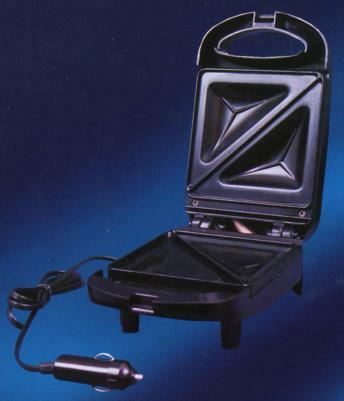 Here we have a cool collection of 12 volts gadgets and we are sure least one of them will make a great addition to your car, though all would be perfect in a RV. 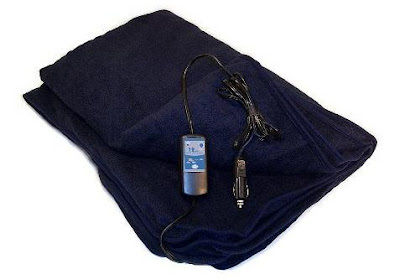 12V Heated Travel Blanket: This Car Cozy heated blanket is just the right size for two people; draws low-amps and won't affect your vehicle's other features. Perfect for winter night, at the drive-in movie, and more. 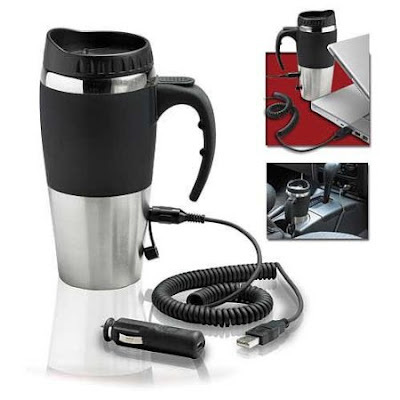 Travel Cup: It holds 16 ounces of your favorite beverage or soup etc. and keeps them at perfect temperature no matter where you are. It comes with both USB and a 12V car adapter, so in the office you can connect it to your laptop and in your car connect it to 12V outlet. 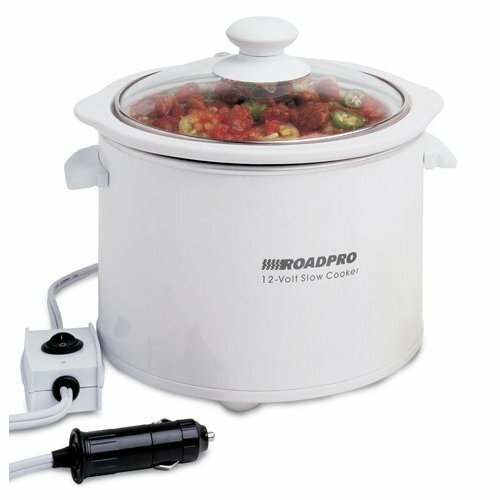 Multi-Purpose 12-Volt Slow Cooker: This RoadPro RPSL-350 12V 1.5 Quart Slow Cooker cooks your food while you drive. 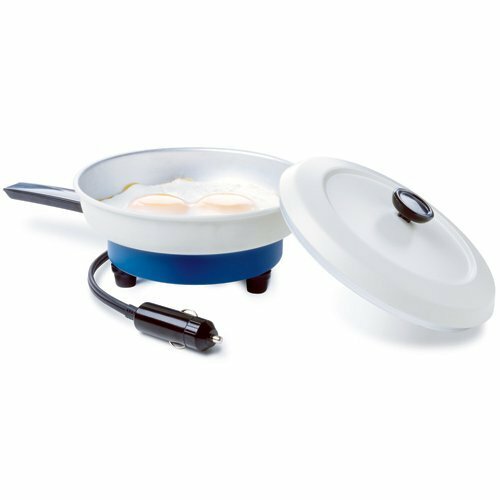 12V Frying Pan: This frying pan can be powered from vehicle's 12V socket. 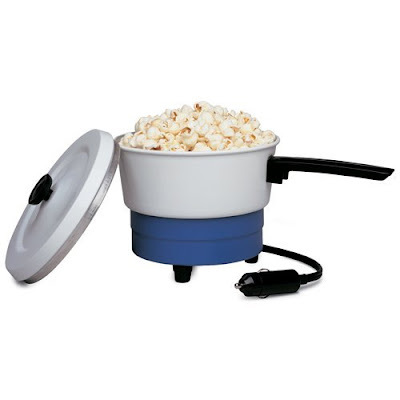 12-Volt Saucepan and Popcorn Maker: Plug directly into your car's 12V socket and heat canned or packaged soups or stews, steams hotdogs and make popcorn. 12V Lunch Box Stove: The Koolatron 12 Volt lunchbox plugs into your car's 12V socket and cooks or heats your food to 300°F right in your vehicle. 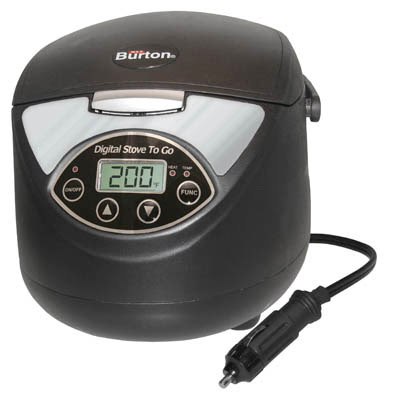 Digital Stove To Go: Make casseroles, soups, stews, hotdogs, and heat sandwiches, leftovers, or frozen meals; this Max Burton Digital Stove To Go digital model allows for greater cooking control, higher temperatures, and larger capacity. 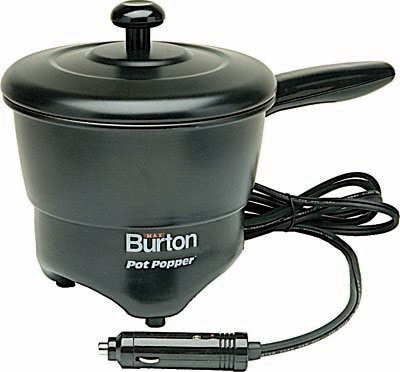 Potpopper and Electric Saucepan: This electric saucepan and popcorn maker by Max Burton is designed so that you can enjoy soups, stews, beans, steamed hotdogs, or fresh popcorn while on the road. 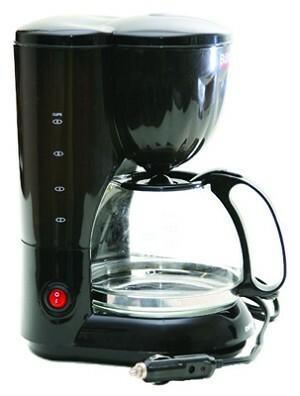 Coffee To Go 8 Cup Coffee Maker: This 12-volt coffee maker by Max Burton will make up to 8 cups of fresh coffee on the go in just minutes. 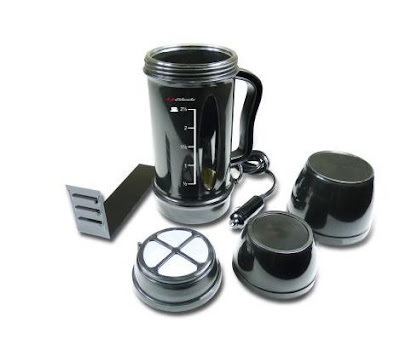 12V Beverage Heater: Schumacher's beverage heater has a 2.5 cup capacity, perfect for coffee, tea, soup or any heated liquids during camping or vacation. 12 Volt Travel Grill: The Koolatron 12 Volt Travel N' Grill cooks from frozen and gives you delicious meals in a matter of minutes, anywhere, anytime. 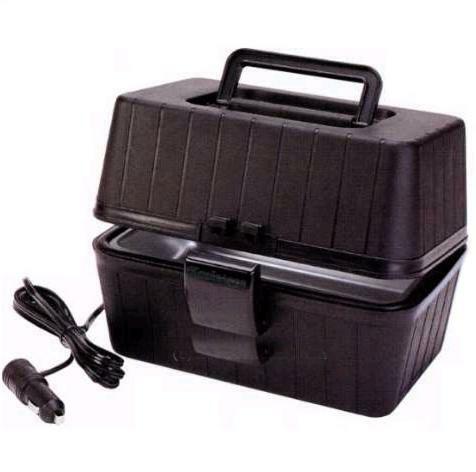 12-Volt Smart Carpot: RoadPro 12-Volt Smart Carpot has 20-oz. 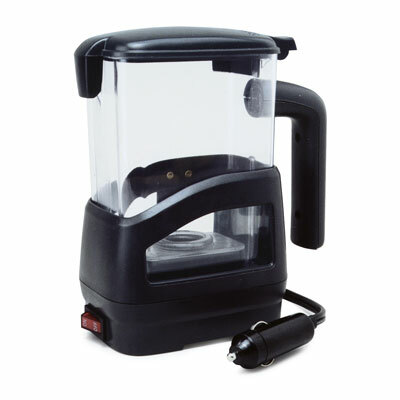 capacity, heats soup, boils water, and reheats meals on the go in just minutes. 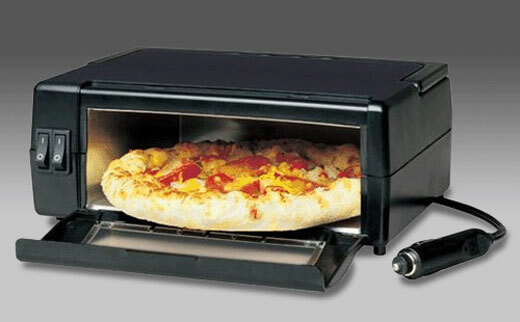 Portable Pizza Oven: This 12-volt pizza oven lets you cook a pizza in a moving car, just plug it into your 12-volt outlet and you are good to go. 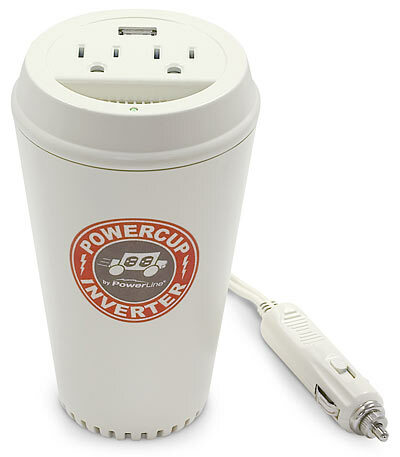 Coffee Cup Power Inverter: The Coffee Cup Power Inverter transforms your car's DC power into two 120-volt AC outlets. This 200-watt inverter comes with 2 AC plugs and a USB power port. 15 Creative and Unusual Computer Keyboards. Creative and Unusual Starwars Inspired Clothing. 15 Creative Holders and Cool Holder Designs - Part 4. 10 Clever and Creative Puzzle Inspired Advertisements - Part 2. 15 Creative iPhone Cases and Unusual iPhone Case Designs - Part 5. 15 Cool and Unique Chess Sets - Part 3. Cool Gadgets To Find Your Keys and More. 12 Cool Headsets and Creative Headset Designs. 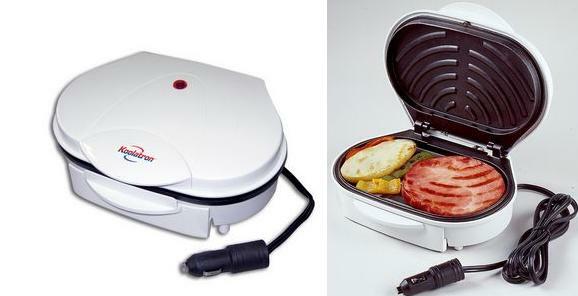 15 Coolest Travel Gadgets and Products - Part 2. 15 Creative Lighters and Unusual Lighter Designs.